For many years, CreditSense have been helping individuals, real estate investors, and savvy borrowers to optimize their fundability, which is your ability to get funding, whether it’s a mortgage you’re after or your business lines of credit, commercial loans, or whatever it is. 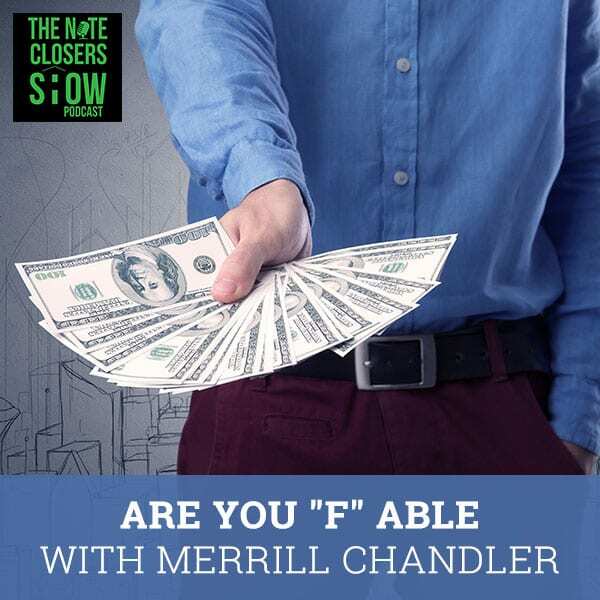 On this episode, Scott talks with Merrill Chandler from CreditSense about their online classes to help investors boost their credit scores to help them become more fundable. We’ve got our special guest, Merrill Chandler, joining us again. I’m excited and honored to have CreditSense as a sponsor for the show. You’ve got some great stuff going on. We’ve got many great things going on. We’re excited to talk about it. We’re honored to have you coming on to spend a day with us here brainstorming 2019 with some great people. You’ve got so much buzz going on with what you guys are doing over there at CreditSense. I love the topic Are you F able or just F? Are you fundable or just F? If you don’t have your act together, you don’t know what somebody is measuring or how to get the money. No one’s going to give it to you. Let’s talk about what F able is. For those that are reading this for the first time, share who you are and what CreditSense is all about first. I’m Merrill Chandler, Founder, and CEO of CreditSense. For the last many years, we have been helping individuals, real estate investors, and savvy borrowers to optimize their fundability. Your ability to get funding, whether it’s a mortgage you’re after or your business lines of credit, commercial loans, whatever it is. We’ve dealt with on a significant level the CEO of FICO, the score development teams for both personal and business to hash through our model for helping our clients and our students create fundability. That no matter where they go or what money they’re looking for, you look spectacular to the lender because you’re doing it all right. You not only know what the lender guidelines are in advance before you apply and you know that your profile is in concert with or are synchronous with those lending criteria. That’s what we do. We specialize in real estate investors but any business that’s looking to capitalize. We knock it out of the park because you can’t win a game unless you know the rules. Become More Fundable: Most people don’t know there are red flag words that will stop a lender cold in their tracks to give you money. You know the rules. You’ve got the sneak peek to the back look to all the rules. That’s what’s great is you’re taking the rules that you’ve known and helped not create but know and spend time learning and then putting those rules or sharing the fundability playbook. You had your first live event? We had what we call a fundability bootcamp intensive where we spent two full days. Before, I would do a presentation and then invite people to get a fundability analysis so we can check their personal profile. People then made the evaluation of whether or not they want to partner with us or engage us as a client. Now, for $97 somebody can go to a two-day event and where every single task you need to do to create what we call a qualified personal credit identity and a qualified business funding entity. Those two things are what FICO is measuring what the lenders want to lend to. You come to this two-day event. I tell it all. You will know walking out of that event what it takes to become fundable as a business owner, a real estate investor, as a savvy borrower or consumer. For $97, take it on. They were so successful that we have three upcoming events in this first quarter that we’re excited about. You’ve got a book coming out and some other things like that too. Finally, my tell-all book called Are You F Able Or Just F?. Start to finish, it is my tell-all book about how my relationship with FICO and how I came up. Nobody knows, except for you Scott, how I came up with optimization rec many years ago. It’s a crazy story but it will be a tell-all book about how to become fundable. That’s personal. The second book, which will be up soon will be about business fundability. We’ve decided to split it back up because nobody wants to read a 500-page book. We’re splitting those up, personal fundability and then business fundability. I’m excited because I’ve never had something. It will be free plus shipping or something, but I’ve never had the Bible for our fundability movement. It will be done, published and we’ll give you guys plenty of time to check in with that and get your copy. Let’s talk about the event you had. Was there a surprising thing that came from the attendees, something that stood out a little bit differently that you didn’t expect? We believe we’re going to simulcast online every single event. At the beginning of February, we’re doing a live event in Salt Lake City. You can register for the event and watch it online. You get sent your PDF copies of the 100-page plus workbook, the whole nine yards. What we found was that the people who were online, we had 85 in the room and 60 people online. The online people, I thought there would be some downgrade in if not quality then them paying attention. I was thinking maybe there will be less attentiveness or whatever. People were glued to their screens and they’re asking questions. We ask questions in the room, the second question came up online. We took that question and answered it in front of everybody. The online participation was crazy. I didn’t think it would be that aggressive. People love me or they hate me. Some people think I’m a disruptor. I want to turn the borrowing industry on its ear. What I noticed is that the people in the room were super engaged. The people on online didn’t skip a beat. That was surprising for me. It’s the 21st century. People are more inclined to hopefully spend a little more time online with the way everything’s going these days with the podcast. We have disrupted the industry a little bit with our live streams, our virtual workshops. What are a couple of the biggest things that probably surprised most people when they pulled a myFICO report or other things out there? Everybody was required to bring myFICO credit report so we could see it through. Most people don’t even know this. We won’t get into the details. There are 28 consumer scores in your MyFICO.com credit report. They’re all FICO scores. There’s an auto score, mortgage score, you don’t need to pull a mortgage credit report to see what your mortgage scores are. Auto scores, your bank card scores, etc. Everybody had to bring those. We went through what we call a fundability index. It takes into account your score, but most people don’t know that your credit score is third or fourth in priority over other considerations when evaluating you as a borrower. I put together a fundability index and we go through this fundability index. They’re workshopping it as a group. The first day is all personal credit profile. 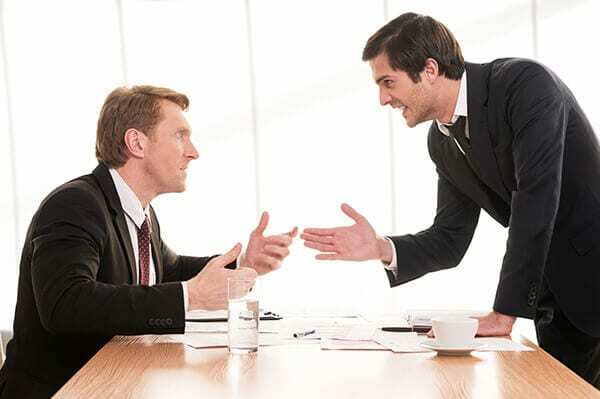 There are two things that are required for lenders to accept you, especially in business lending. 80% of business lending is based on your personal profile. The first day was all about personal profile optimization, how to optimize your fundability in your identity, in your trade lines, the quality of your accounts, your timing, your 24-month look back period, all of this awesome stuff pure personal fundability. The second day, it was 100% business fundability. That’s literally the very name. Most people don’t know there are red flag words out there that will stop a lender cold in their tracks to give you money. We’d go over the red flag words, how to shape a current entity, whether or not you need to start a new entity, whatever it is. The second day was 100% about business fundability. You have personal fundability first day, business fundability the second day. People were eating it up. The feedback we got was phenomenal. I’ve never done the intensives. I wanted to do the intensives for years. We’ve never done them and now I’m never going back. I promise anybody who’s reading this or comes to the intensive. You will walk out of there knowing every single step. We give you the checklist, every single step of how to do this process. Go for it. You can do it on your own. We can help you. Whatever the situation is but we give you every single step that needs to be done on personal and on business. The great surprise or the greatest offering we had is that we got to dial in and teach people. I’m that guy. I love empowering people to know what’s going on in their personal business profiles. We get to do the deepest dive. Seriously, people kept going, “Can we bump this to 5:30? Can we bump this to 6:00?” They were like, “Yes, more.” You could see blood coming out of their ears. It was fun to watch them get as passionate about knowing this and knowing what to do to create fundability as I am. That was an amazing feeling. You definitely and your right arm, Brad, and your whole staff is a big believer in helping deliver a lot of great stuff. What are some easy things that people could look at doing or things that people do that they don’t know that hurt their stuff with it being the first year? There’s this whole brouhaha of impending doom, the doomsayers out there are forecasting all this stuff. I was a very young man when 2008 came through. I’m going to tell you exactly what happened and how to prepare for the worst possible scenario. In 2008, the most important metric after business relationship, the relationship a bank has with you through checking and credit cards and all the other things. The next most important metric is what’s called your 24-month look-back period they measure and each period is more valuable. Three months, six months, twelve months, and 24 months, each is twice the value. If you behave in a certain way for 24 months, they’re going to say for the next 24 months you’re going to behave the exact same way. We did the exact same thing with our clients that I’m telling you right now. You can run traffic. Never put more than 40% on your credit card. Pay it down faithfully to zero or near zero on the due date. You do that over the course of 3, 6, 12, and 24 months. You’re going to send the message to the underwriting software that you are not a risky borrower. In 2008, they either closed credit cards, credit lines. They either closed them or significantly reduced them. Become More Fundable: Low-value cards scream to lenders, “I’m a consumer.” You’re not a professional borrower and they’re going to keep professional money away from you. The good news is if you start behaving now, they will not reduce or reduce subtly these credit limits. It’s important to maintain because your credit limits indicate to every future lender what your capacity is for borrowing. If those all get shut down or close down or lowered significantly, then you showed that you can handle $5,000 instead of $20,000. Nobody keeps a record of what the limit used to be a few months ago or a couple of months ago. They look at what the limit is now. Here’s the biggest problem with carrying a balance, especially note buyers, real estate investors, everybody who’s using your personal credit to fix and flip and make repairs and all that stuff. Your utilization goes up, your balances go up, and your credit score goes down. Watch the preview that we offer for free. I’m going to walk you through all of these things that you can prepare yourself. What’s most important is let’s say you have a 70% balance or an 80% balance on a credit card. The credit card is going to lower your limit. It will never lower below what you owe. If you have a $20,000 car, you owe $15,000. They’re going to go to $15,200. The problem is that when they do that, your utilization instead of being 75% goes to 95%. That hurts your score. They did the move. 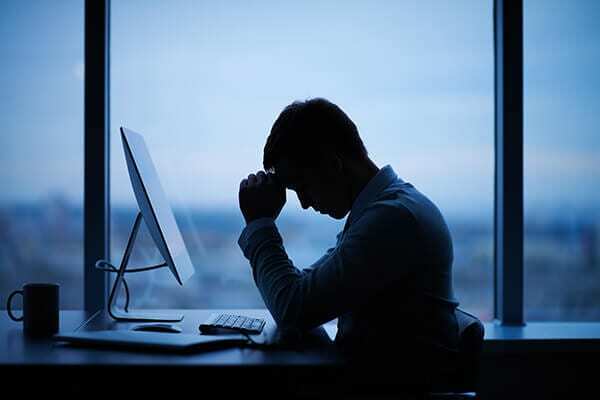 When I’m back at FICO, I’m talking to the chief designer of the personal algorithm and I said, “If the bank makes the move and drops the limit, that hurts the borrower,” and he goes, “We can’t account for that. We don’t shift the measurement or the FICO metric to keep it at that 75% of what it was. You’re now at 95% utilization and if you’re a 95%, your score is getting crushed.” Here’s what’s stupid, but it’s true. Many of you have experienced this. We’re at $15,200. If you make a payment of $5,000, they’re going to drop it down to $10,200. You’re still at 95% and they’re going to go all the way down until they feel comfortable. You will be at 90% plus utilization for years if you’re carrying these balances. You have to attend a class before you can go to the fundability analysis. That’s where we share the link and how to buy a ticket and all that stuff. It’s $97. The issue is that you’ve got to know what you’re doing. If you’re doing this all on your personal, stop it. Let us help you get business lines of credit, business credit cards so that you can do your balances and your fix and flips and buy notes or buy carpet on your business credit and leave your personal credit alone. It’s the goose that lays the golden egg and you guys are cooking your goose. You’ve got to maintain this perfect traffic. Traffic is what we call using the card and paying it off. These perfect traffic patterns that match, we’ll tell you exactly how to match the underwriter guidelines. You do that, they’re not going to lower your limit or they’ll lower it far less. If they do, your utilization doesn’t crush your soul. If I can tell you guys one way to get past any correction that happens, you start honoring and respecting your personal credit profile. 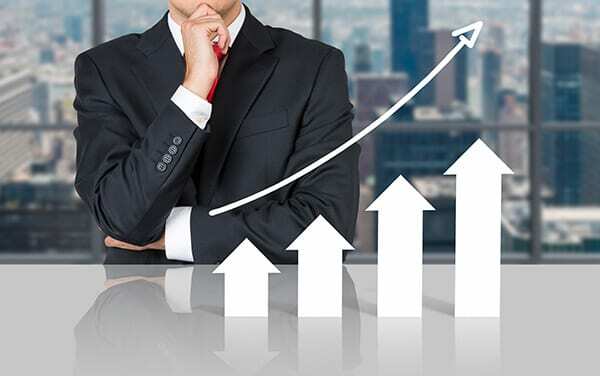 Get business credit instruments so that you can do the work of your business. We don’t care if they raise or lower your business credit limits because those are not going to report on your personal if you’ve done it correctly. You’ll learn at the intensive how to do that. If you do this, you will save the soul of your credit profile. That’s a good point though especially people are looking at rehabs. They’re using their Home Depot cards. Is that a business credit card? That’s a personal credit card if it’s a Home Depot or Lowe’s. It looks good. You behave perfectly on the personal side and then you can go willy-nilly over on the business. The FICO team when I was asking my 100 questions of their algorithm, they literally told me that business credit reporting is the equivalent of what personal credit reporting was in the ‘80s. Many years ago, business credit reporting is that archaic, is that slow. We got you dialed. Go to the web class then go to the intensive and we will show you exactly what you need to do to prepare for whatever correction, collab because I’m here to support you anytime because we will get you the best interest that’s available in the market whatever it is. We play the game. A couple of things here especially with it being after Christmas and people are using their personal cards to pay for gifts. The best thing they can do is go and get that balance pay down before the invoice shows up. Would that be a good way of saying it? Especially, some of you have watched one of my presentations. I always tell people how to ruin your credit profile and save 10% on your next purchase. Many people because trying to make ends meet or whatever, they go to a mall store and they say, “Save 10% or 15% on your next purchase if you open up one of our cards.” First of all, it’s a low-value card. Your average age goes down. It’s junk. You’re putting junk on your profile. You’re screaming to lenders, “I’m a consumer.” You’re not a professional borrower and they’re going to keep professional money away from you. No joke. Whatever you could do, if you open up one of those cards, pay the balance then shut it off. If it’s less than six months, you’re going to take a ten, fifteen-point credit hit and then you’ll rebound. That card is junk. FICO gives it a negative indicator. You have a consumer finance card, a consumer finance account. We don’t like them. Stop it. Close those as soon as you can. Here’s the key. Pay down the balance then close the card. If you just close down the card and there’s a balance. First of all, you would not believe how many clients come to me saying, “I closed my account, paid off my card, and then I got a $17 interest charged to its collections.” Stop it. Pay the balance to zero. Get the last statement that it is zero. The next month, close the card. There are literally dozens if not hundreds of these strategies that will make you look like a credit god to lenders and I will show you exactly how to do it. Unless you are buying $67,000 worth of Target for Christmas, do not open up a card. Let’s mark our calendars down, February 8th and 9th in Salt Lake City. Become More Fundable: When the fed raises rates, everything is about the capacity to repay, your ability to repay, because when the rates go up, the interest rate goes up. It will be starting at 8:00 AM and we’ll go until your ears are bleeding. We will go until you guys are done. It’s usually around 6:00, 7:00. On Sunday, we come in at 9:00. Give everybody a little chance to get some nourishment in their bodies before we go under the fire hose again. We go until we quit night. It could be 6:00, 7:00. You can register to attend live or attend online. You’ll decide which one you want to do. If they can’t make the February one, you’ve got two slated for March. We’re finishing up a few plans, but it’s most likely that will be in Dallas on March 2nd and 3rd, that’s a Saturday and Sunday. We’ll be in Southern California on March 30th and 31st, both Saturday and Sunday. That’s our first quarter dates. In April, we’ve got another event where we might be back in California, but we’ll cover that in the next month or so. We’ll be releasing our second quarter. Basically, you got right at 30 days. Under a month out for their next event in Salt Lake City. Many of us are setting New Year goals. I see this all the time, “I want to close on twenty deals this year. I want to get $10,000 in cashflow.” Our discussion on one episode is about how do you hit those numbers? If you want to get $10,000 in cashflow, if you’re average note is paying you $500 a month that means you need to close on twenty deals. If the average deals that you’re buying honors, let’s say, $30,000. That means you need to raise about $600,000 in private capital. It means you’ve got to send out and market some things. A lot of people see that number and they start. 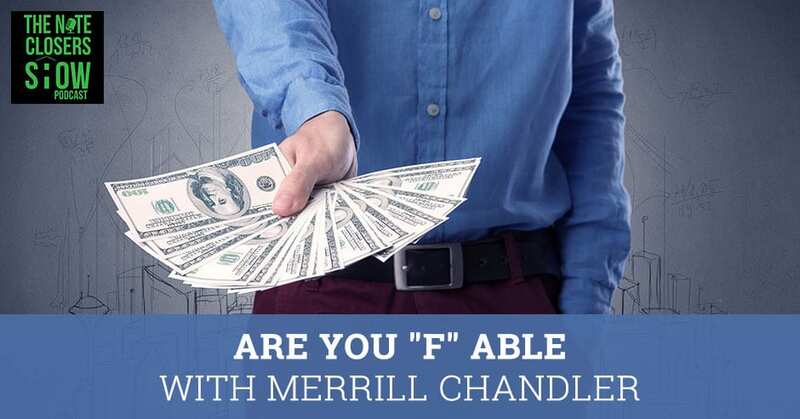 If you’ve been a good borrower, you can work with Merrill and he can help you with the lines of credit to help you out with that. Besides marketing out for the private money and stuff like that. You’re getting lines of credit, cheap money, especially with the market being like it is. Do you have any success stories of any clients and stuff like that? We brought in a testimonial. I showed testimonials. Garrick and Aisha are wonderful real estate investors. They called in. They shared how they literally within the last 30 days had picked up a real estate acquisition credit line for $580,000 plus $90,000 in business lines of credit, write a check, do a deal, and take down a property, whatever it was. That was the previous quarter’s results. I’ve shared a number of people, a note buyer on the eastern seaboard, Teresa, picked up a single credit line for $500,000 unsecured. They asked for tax returns and financials, but when they looked at her profile and ran it through their underwriting metrics. They authorized the loan and she signed for the loan before she had even sent the financials and the tax returns. We call that a no doc loan. They’re willing to send it but they said, “Thank you so much. You’re already approved.” We get all kinds of 30s and 50s from three and four banks at a time for a total of 100, 200, and 300. The big winds are becoming even more and more frequently. I have a question. If somebody’s got a personal card and they want to use their card for the points because we see that happen a lot of time. They want to buy something big, get the points versus writing a check for it or something like that. What are some of the best things they can do? They pay it off immediately? If you’re going to do that, wherever possible do not go over 40% of the limit because that 40% is their safety zone. The second you go past that, especially if you haven’t been passing it. It looks like, “These people, what do they need money for?” They literally will go into panic mode and send you to the risk department. You may not get a phone call from the risk department saying WTF, but they are going to monitor you closely. The way to stay under the radar is only spend 40%. If you can, make the purchase. People become clients with me and they say, “I want to get points on this,” and I go, “I’m already going to tell you how to do this optimized transaction,” and we put it on two or three cards, even a small purchase. We never want to get past that 40%. We want to make sure we’re doing everything right, even if someone is engaging us with a credit card. We’re optimizing out of the gate. It’s a good point for everybody to understand that. You got to know the rules. It sounds good, it looks good like, “I get a million points or half a million points.” Let’s make sure to do it right for you. You can do it right. Is the juice worth the squeeze? I tell people all the time, “You’re going to add 1,000 points to your travel miles. Do you know what you’re going to do to your profile? Let’s examine that.” Our team of advisors is here to answer those questions on the fly. Question for you, when the fed raises rates, does that affect people’s fundability? How does that come into consideration? People are thinking about, “Is this guy going to fall in 2019?” What’s going on with the markets? When the fed raises rates, everything is about the capacity to repay. Your ability to repay. When the rates go up, the interest rate goes up. The payments are generally higher because they’re around 4% on a standard personal credit card. You lost interest, only things like that. When the rates are higher, they’re requiring more money from the borrower in every payment. There is an effect on the overall. What happens is when it comes to qualifying. They’re looking at debt to income ratio. Your debt to income rates tend to go up, your debt to income ratio is going to become more valuable of a criteria. You take all of the credit cards and you only have to count the debt that is reporting on your credit profile other than rent. You need to include rent when you’re calculating your debt to income ratio. You want to be 34.9% or less when you calculate your debt divided by your income. Every one of the banks we work with that is funding in business credit lines are a prime plus. They could be prime plus 0.75, prime plus two. We’re anywhere in the 5% to 8% range if you’ve got a phenomenal personal profile that we’ve worked on. You can be 8% to 12% if you are coming at them with a good business, but a non-fundable personal profile. People ask me all the time, “I got 800 plus credit scores,” and I’m like, “Where’s your $500,000 credit line?” I don’t care what your score is. How much money are lenders willing to give you? If you keep getting those, that means your profile isn’t fundable. I don’t care what your score is. Do you have a link or email? I’ll send it to you. They can watch our web class. They’ll watch the intensive preview. It outlines all the things, how to get prepared, how to register for the event, where to go, etc. Step one, watch the preview. It’s 50 minutes. We outline everything and there at the end it says, “Pick your ticket price.” There isn’t a big sales thing. You want to attend and buy your ticket. The $497 level, there’s $97, $197. You get a recording. If you get the $197 ticket, you don’t just get the recording of your intensive. You get every single intensive we have ever done in perpetuity for that $197. If you bought the $497, instead of doing analysis with one of my team, I do your fundability analysis personally. I sit down with you after you’ve learned everything. Now that you know the rules, then we go through your personal profile and we get jiggy with it. We literally create a strategy for you or decide if that’s something you want us to participate on or what are the tips you need to do it on your own. Those are the three ticket prices. $97 is attendance and the 100-page plus workbook. The $197 you get recordings in perpetuity. You get recordings plus you get me for $497. Those are the ticket prices. That’s where one of the links is going to take. Watch the web class and then join us for February 8th and 9th. We will knock it out of the park, whether you’re home or you’re live with me. You want to take advantage of that. February 8th and 9th either live in Salt Lake City, where it’s going to be a little chilly but that’s okay you’ll be inside getting hot up in it. You can stop from home in your underwear and learning while Merrill’s going. Thank you so much for being here on this episode as well. As always you deliver great content. Thank you to our audience. Be well. Thanks, guys. All of you former students come back or spread the word and have them join us because it’s a thing. Go out, take some action. 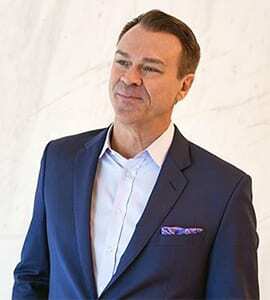 Merrill Chandler, CEO and Chief Strategist at CreditSense.com, has been an influential player in the credit restoration industry for over 21 years, and has co-founded numerous successful credit restoration firms around the country, including Lexington Law. Unsatisfied with the results of credit repair alone, Merrill has used his extensive knowledge of credit reporting and credit profiling to single-handedly invent and dominate the credit profile optimization marketplace.